I am very impressed with both the content and layout of your website. 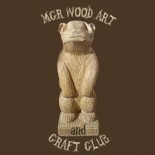 Congratulations from Oldham Lifelong Learning Woodcarvers. Thankyou very much Peter and the Olldham Woodcarvers. I am contacting you as I am very interested in taking your woodcarving course, I am aware you have just started one of your 12 week courses and I would like to come along and have a look at your workshop and how the course is run, with a view to taking a place on your next course, if that is ok with you, could you please forward a contact number and address as well as dates and times of classes.